You and your team will be locked in a spy mission escape room at Escape INDY. This experience is for a maximum of 10 people. The duration of this experience is 60 minutes but allow for 90-minutes for the entire experience. Please show up 15-minutes prior to mission start time, in order to prepare for the mission brief. You are on an elite team of fellow CIA agents assigned with the task of gathering incriminating evidence from the office of international business man, Mr. Dupree. 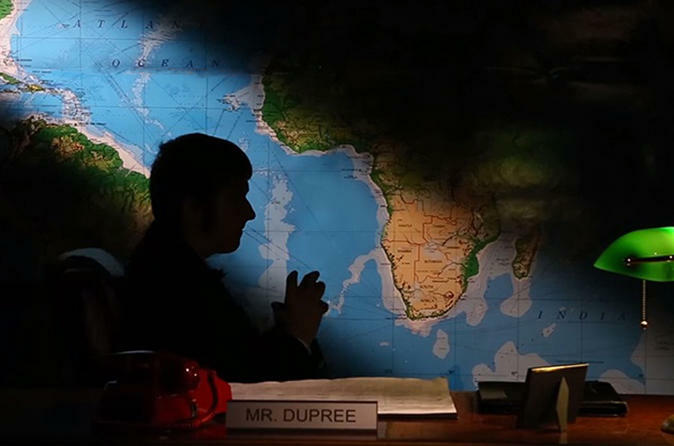 Our Intelligence team could only get you into Mr. Dupree’s office for 60 minutes. You must get out before Mr. Dupree returns or the case is blown! Collect evidence of specific illegal activity, solve the puzzle and escape the room before you’re caught!